From Where Will You Place Your Faith? 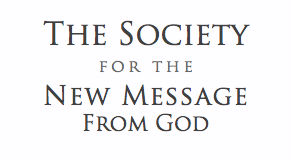 Register for the Free School of the New Message to continue reading. People will have faith in something because to have faith is natural. If they do not have faith in God, they will have faith in something else that takes the place of God. They may have faith in their government. They may have faith in the economy. They may have faith in industry. They may have faith in themselves and their abilities. They may have faith in certain individuals. They may have faith in nature. But whatever it is, they will have faith.